Many news stories about vaccines bludgeon readers with the message that it is unacceptable to raise questions about vaccine safety. When the topic of vaccine safety manages to run the gauntlet and enter into public debate, the focus usually is on childhood vaccines. But what about the neglected topic of adult vaccine safety? The question is a reasonable one because adults are experiencing increasing pressure from health workers to say yes to various shots. Although most adults (at least for now) can still decline, adults in the military are subject to extremely onerous vaccine regulations that require them to receive up to a dozen vaccines, depending on the region where they are serving. These include vaccines that most other American adults will never encounter, including shots for rabies, typhoid—and anthrax. The Food and Drug Administration (FDA) originally licensed the anthrax vaccine in 1970 for agricultural workers exposed to cutaneous (skin-acquired) anthrax. During the Gulf War, 150,000 troops received the vaccine “as a prophylactic against inhalation anthrax,” and the Department of Defense pushed mandatory rollout of the vaccine among many more U.S. military personnel beginning in the late 1990s. This experimental or “off-label” use of the vaccine violated the FDA’s own rules because, under U.S. law, compulsory mass vaccination programs must use vaccines only for their approved indications. Service members have been contending with anthrax-vaccine-induced illness ever since its military use began. For example, numerous observers have linked the vaccine to Gulf War illnesses. In 2002, the General Accounting Office (GAO) reported the results of an astonishing survey conducted with 1,253 pilots and aircrew members of the Air Force Reserve and Air National Guard to ask questions about the military’s anthrax vaccine program. Of the survey respondents who had received one or more anthrax shots, most (85%) reported experiencing an adverse reaction, including numerous systemic reactions and reactions lasting more than a week. A particularly interesting finding of the GAO report pertained to the negative impact of the anthrax vaccine program on retention of experienced pilots and aircrew. To avoid the anthrax shots, more than one in six survey respondents reported transferring to other units, changing their status to inactive or leaving the military altogether. Of those who left or transferred, one in four cited the anthrax vaccine as the primary reason for their decision. One former Air National Guard squadron commander stated that he had been forced to retire after refusing the vaccine, and he accused military authorities of hiding the extent of anthrax-vaccine-related attrition among pilots and aircrew. Fast-forward to late 2017. 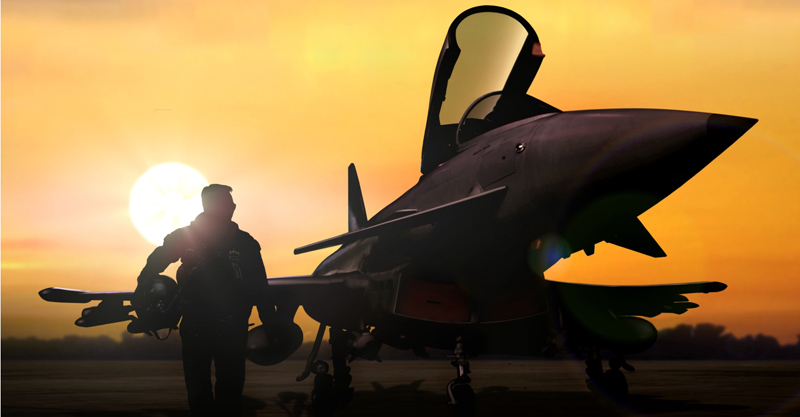 The Air Force continues to face a massive shortage of pilots, according to a new report in The Hill. Although the article does not venture into vaccine territory (instead attributing the shortage to problems such as burnout and competition from the private sector), it would make sense to ask whether the anthrax vaccine (and the burdensome military vaccine schedule overall) is causing pilots to think twice about the health tradeoffs of Air Force employment. Unfortunately, in the absence of any updates to the 2002 GAO report, vaccine proponents have little motivation to explore this question. Perhaps when the Air Force is “crippled” and “broken” by the pilot shortfall, as the Air Force Secretary warned at the annual State of the Air Force news conference, it will become apparent that our country and our valiant service members suffer when we ignore important issues of vaccine safety. Sherrie Saunders is a former military medic who has gone public as a whistleblower on the dangers of the anthrax vaccine given to U.S. military personnel.